The Bullhide Mine Cowboy hat features durable wool felt that is sure to outlast your child's next rodeo adventure. 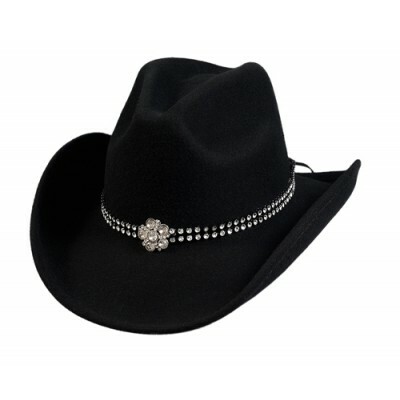 A pinch front crown gives a true western look, and the rhinestone hat band and flower concho add enough fun and personality for your little lonestar to shine bright. 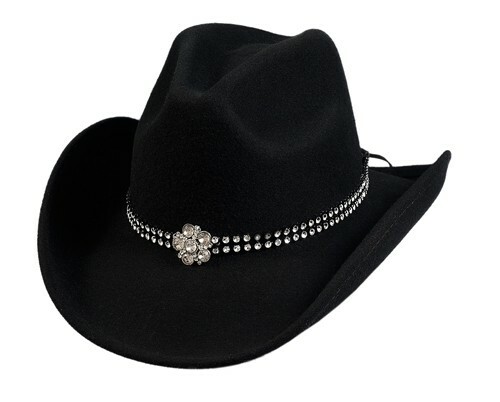 This hat is sure to bring a smile to any hopeful rodeo star's face.